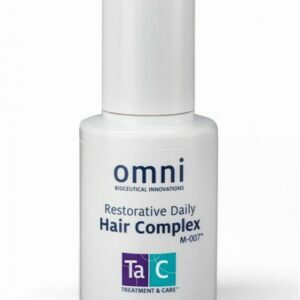 Backed by an extraordinary collaboration of scientists, forward-thinking physicians and labs, Omni Bioceutical Innovations produces superior growth factors, peptides, and other proteins for use in skin and hair products. 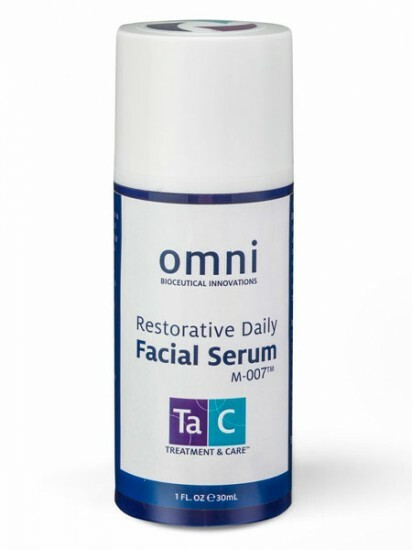 TaC Restorative Daily Facial Serum with M-007™ is a cellbuilding serum that supports the regeneration of collagen and elastin by utilizing targeted human growth factor proteins. 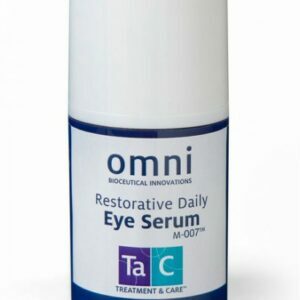 Now formulated with M-007™, a patent pending delivery molecule, this new technology binds and transports growth factor proteins below the surface of the skin so they become more bio-available. 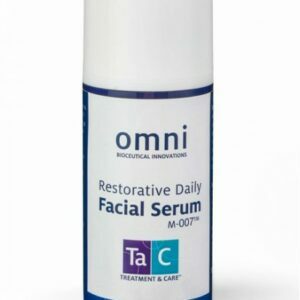 This transformative serum should be the foundation of an effective, daily skincare regimen and may be suggested by your physician as part of a post-treatment recovery protocol. How to Use: After cleansing, dispense a small amount onto clean fingers (gently push the pump no more than half way down) and lightly apply and pat over the entire face and neck area. 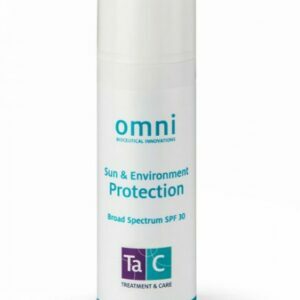 Moderate skin renewal may occur in two weeks, but optimal results to your skin’s appearance are reached within six weeks with consistent twice daily use. Store in a cool, dark place.